As the protests continue in Ferguson, Missouri, over the police shooting of Michael Brown, shares of Taser International (TASR) have soared 28%. 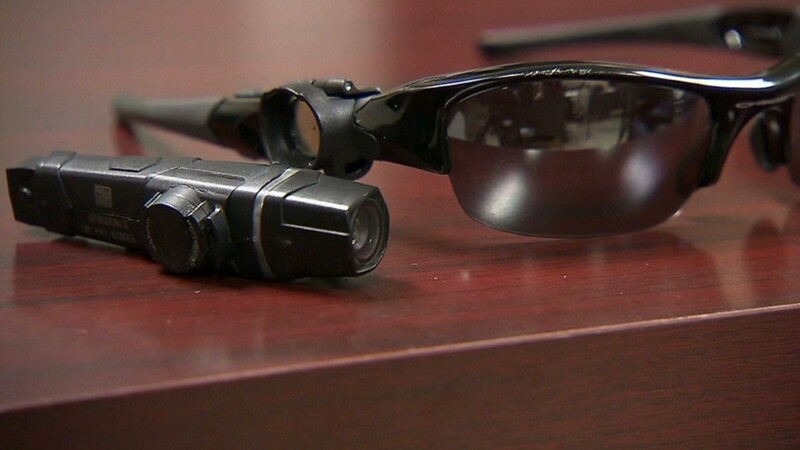 Interest in equipping police with body cameras has swelled nationwide. Pilot programs using Taser's products are underway in Los Angeles, San Francisco, Detroit, and London. New York may soon follow suit as a result of scrutiny of its controversial "stop and frisk" policing. Even smaller police departments like Rialto, California, a city of 100,000 with a police force of 115, have been experimenting with Taser's cameras for some time. Video police reports: It's not just the cameras that are exciting traders. Taser's service includes software that could make it easy for officers to upload audio and visual evidence. In the future, these videos could replace police reports. Taser guns still make up the bulk of Taser's business. 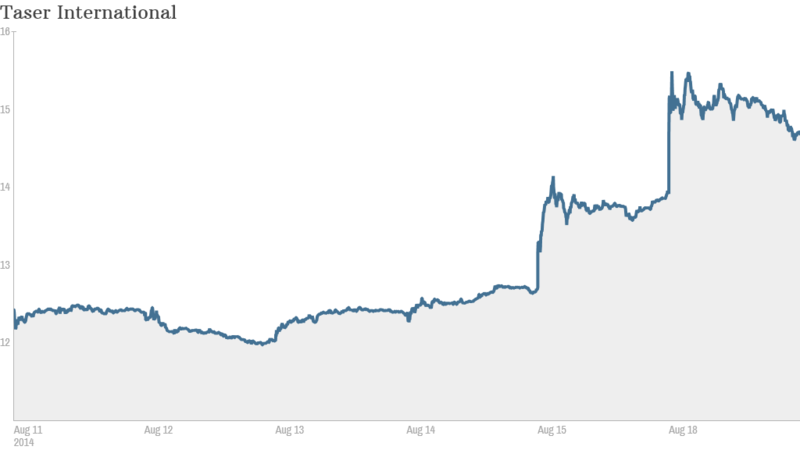 Despite the recent uptick, Taser's stock is still down over 5% for the year. Brian Ruttenbur, an analyst at CRT Capital Group, warns that even if the wearable camera movement takes off, there will be fierce competition in the space. What makes Taser unique right now is that the company has a partnership with Amazon (AMZN), the only company providing private cloud solutions at present. Google (GOOG), IBM (IBM), Microsoft, (MSFT) and Cisco (CSCO) are all creating their own private cloud solutions. Once they do, more companies will create camera hardware and link up with them. Google, for instance, already has its Google Glass device. "There are multiple companies that can provide an even more robust solution," Ruttenbur said. "Taser wants to replace Taser guns every five years, but police officers keep their weapons for 15, even 20 years," he says. Then there's the police unions, which hold a lot of sway and have vigorously opposed the cameras. "You talk to any police officer on the street, they do not want video on their bodies," Ruttenbur said.